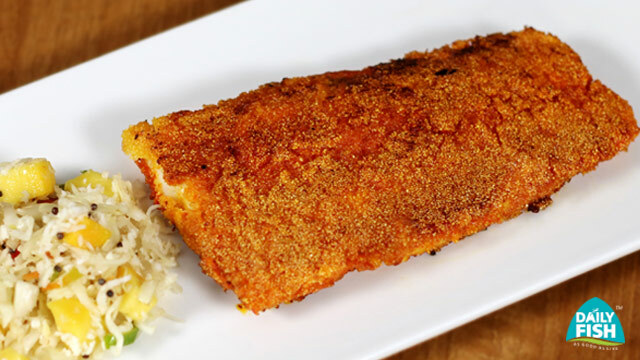 Masala Fried Fish is one of the most sought after dish, which fill your heart's content. 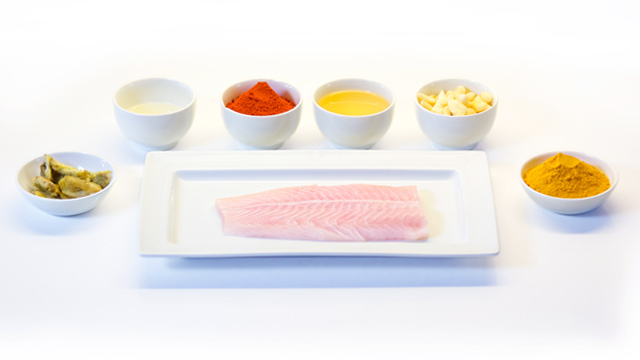 Ingredients For The Fish . Lime Juice of 1 Lime according to your taste. FOR THE CABBAGE AND MANGO SALAD. . Blend ginger, garlic, turmeric, red chilli and lemon Juice. Make slits in the fish and apply the masala. Marinate for 20 minutes. Coat fish in rava from both sides and shallow fry till golden brown. In a pan add oil, mustard seeds, red and green chillies,curry leaves, Let them splutter. Add spring onions, Saute then add cabbage,salt and pepper. Turn off the heat add diced mango, Vinegar and sugar. Let it cook in pans residual heat. Serve with warm cabbage and mango salad.